| Are you a fan of Tokyo Ghoul?? Hey guy this is Gino(@Berria_g) and I’m here to give you a cosplayer with great potential!! The reason why I’ve decided to introduce this cosplayer is because when I first saw her twitter account I’ve came to this one picture of her cosplay and that was the character of Tokyo Ghoul. 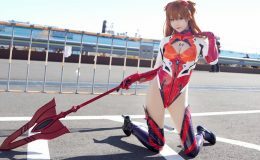 As a fan of this anime, I couldn’t resist checking her account out for more other cosplays and the more I went deeper in her account that we the moment I decided to introduce her to all of you!! One of the biggest point I want to introduce you is the way she completely mimic the character with astonishing backgrounds. Just looking at each photo makes you think as if she really is in the world of that anime. Now sorry for keeping you waiting, it’s time to check Shiina(@siinapurin) and her outstanding cosplays!! These are the three tweets that made me want to introduce Shiina. I’ve already said this previously but as you can see, the background completely takes you to the world of Tokyo Ghoul and if you already know this anime then there is no need to say that the background is astonishingly the same as the anime where Toka (the character of the anime) had her epic battle with Mado (also the character from the anime) in the sewers. As a fan of this anime, this cosplay was something that I just couldn’t resist wanting to share with someone. Now here is a cosplay of a popular virtual youtuber here in Japan, “Luna Kagura”. If you already know “Ai Kizuna” then you can think Luna as her sister. 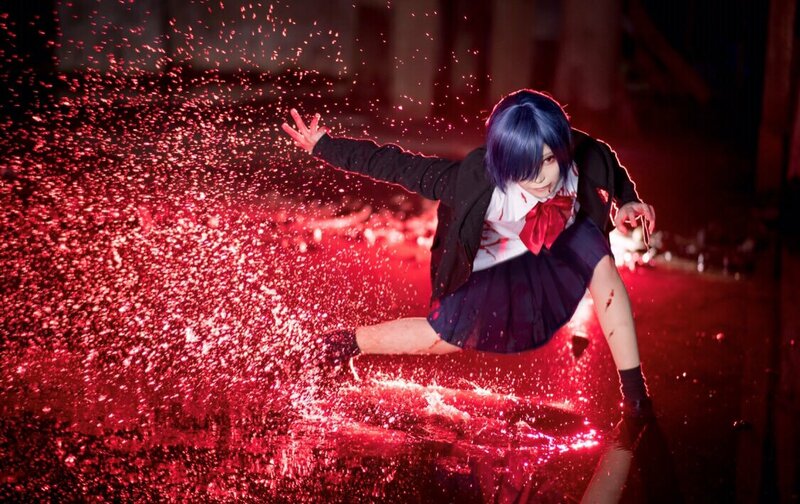 This cosplay is also one of the best cosplays I’ve saw on her twitter account. Here are some other cosplays from other anime starting with Token Ranbu. I personally don’t know much about this anime but the way the anime involves Japanese culture by using katana swords and kimono’s are just great. If you are a big fan of Japanese culture itself, then this anime is great to watch. This anime is enjoyable to watch and I also plan on watching this soon!! Here are some pictures she used as her profile picture. They all look awesome…..the more you get to know the series of anime the more enjoyable cosplay gets!!! | That’s pretty much it for now!! Thanks for reading this till the end and I hope you had a great time reading this!! As I already previously said, Shiina is a great cosplayer with high potential and I truly think she’ll become more better than now so I suggest following her on Twitter and support her!! I’ll leave the link below so go check her out!! Thanks again for reading this and it’ll be great if this page would be shared so please don’t forget to share this on Twitter or Facebook!! You can share this from the top of this page from the icon!!! Thanks again and I’ll be seeing you on my next article! !